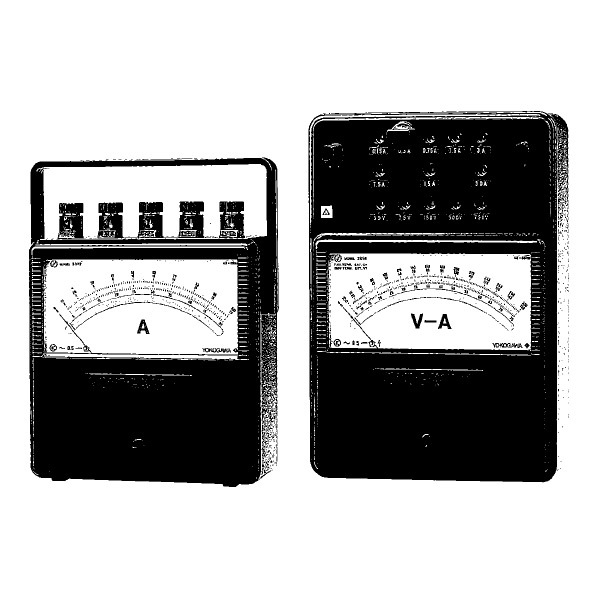 Models 2013 and 2014 ammeters & voltmeters are moving iron type instruments using a taut-band suspension system. The suspension system provides excellent reproducibility without friction, and good resistance to shock impact. A cap shield mechanism serving to reduce external magnetic fields, a superior temperature compensation circuit, and other components ensure stable performance. Taut-band suspension system eliminates friction and provides good resistance to shock impact. Stable performance ensures that changes over time are negligible. Magnetic circuit reduces the effects of external magnetic fields. Superior temperature compensation circuit reduces external temperature effects.